We are the gateway logistics experts, providing complete logistics services at major North American ports, enabling speed to market, inventory control & visibility, and fast, flexible, reliable service for our clients. Our clients benefit by leveraging our experience, agility, innovation, service excellence and national footprint to gain a distinct competitive advantage. Port Logistics Group is the nation’s leading provider of gateway logistics services, including value-added warehousing and omnichannel distribution, transloading and crossdocking, ecommerce fulfillment, and national transportation. With 6 million square feet of warehouse space strategically located in and around major North American ports, we provide the critical link between international transportation and the “last-mile” supply chain. When you work with Port Logistics Group, you’ll be confident that our local operators know your products, your customers, and your challenges at each port of entry. From the moment your goods arrive, our team provides fast, reliable pickup and processing. Our retail industry knowledge allows us to meet your most demanding customer specifications. You can expect that same level of service regardless of your U.S. point of entry, giving you the flexibility to manage a complex and ever-changing global supply chain. At Port Logistics Group, we understand the urgency of getting goods from the port to store shelves on time and consumer-ready. Whether your products require transloading, cross-docking, or storage and distribution, our experienced staff and advanced material handling technology will get your products out of the port and onto store shelves. We’ve designed our locations to be a one-stop solution for our retail and manufacturing customers. We combine our gateway logistics services with domestic vendor consolidation for store and DC delivery operations. For our clients who need a complete distribution solution, Port Logistics Group provides inventory management, order fulfillment, pick-pack, and kitting. Our Value-Added Services teams provide a full range of retail finishing services (inspection, ticketing, sewing, pressing, re-pack, GOH processing, labeling, gift wrap) so your products arrive at their destination ready for sale. 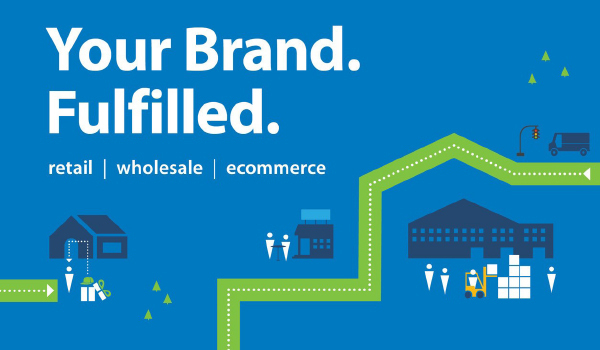 We specialize in solutions for retailers and manufacturers who need to combine a traditional retail distribution strategy with a B-to-C channel. Our proprietary WMS allows you to maintain a single inventory at multiple locations while fulfilling orders to your DCs, stores, or ecommerce customers – seamlessly. Experience. Agility. Service Excellence. National Footprint. As you design your supply chain strategy, don’t leave the critical link between global transportation and your last-mile supply chain to chance. Trust Port Logistics Group – the Gateway Logistics Experts.